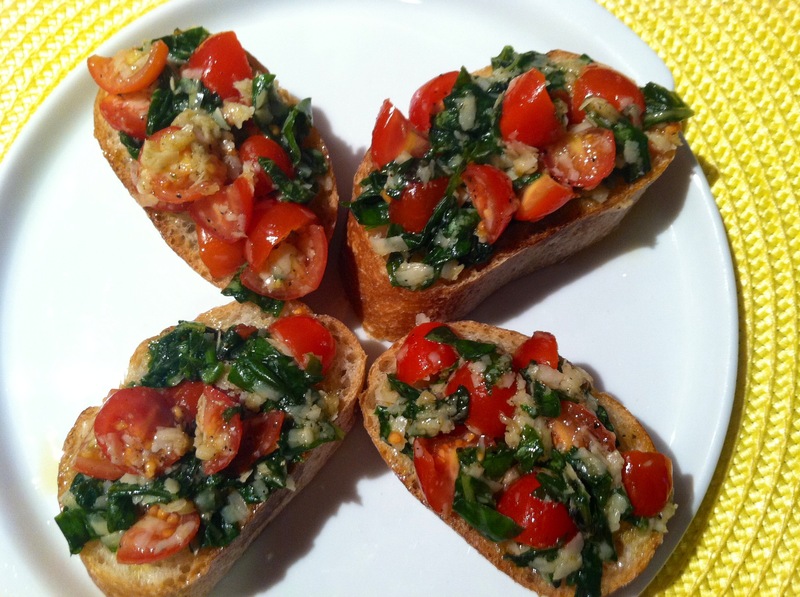 Every time I make Bruschetta, it reminds me of Positano, Spring, fresh, blooming flowers, a warm breeze and a lazy afternoon. That’s what beautiful food does, it just takes me away to some beautiful, relaxing place. (In my mind, that is). These are such delicious complimentary flavors, extra virgin olive oil, aged Parmesan Cheese, fresh, fragrant basil, organic grape tomatoes and fresh crushed garlic all nicely placed on some crusty bread. All this needs is a glass of wine and me!